Phil Lamb is investigating the use of DNA sequencing methods to better understand the jellyfish food web. 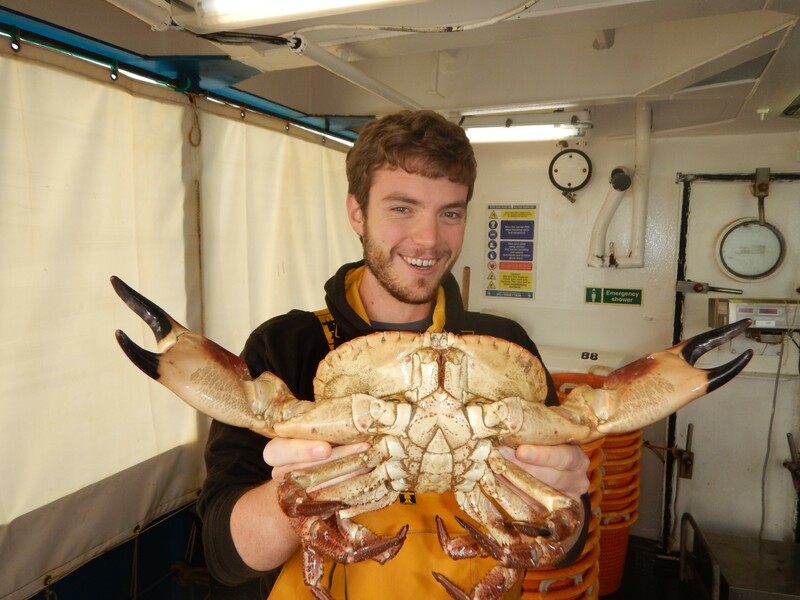 Phil is a second-year Cefas/UEA Strategic Alliance PhD Student based in the School of Biological Sciences, UEA. In carrying out my PhD research I found myself in the enviable position of being out at sea - on a research vessel and elbow-deep in jellyfish. Cefas had allowed me a berth aboard the RV Cefas Endeavour for the 2015 Poseidon cruise - a three-week research trip through the Western English Channel and up into the Celtic Sea. A variety of research was carried out on this cruise - whale and bird monitoring, plankton and oceanographic research, in addition to fish stock assessments. For me, it was the perfect opportunity to gather hundreds of stomachs from various organisms to test for jellyfish predation and jellyfish themselves in order to help build a jellyfish DNA database. Jellyfish are a natural part of the environment, but blooms cause many human issues. Blooms can overrun fish farms, sting bathers, burst fishing nets, and even block power station cooling pipes. Worse still, we can’t yet manage or control these blooming events. Blooms can overrun fish farms, sting bathers, burst fishing nets, and even block power station cooling pipes. Maintaining healthy marine environments is important, both for conservation of biodiversity and providing food for a growing global population: nearly 1/6th of all animal protein consumed originates from fisheries. Regrettably, due to a legacy of man-made phenomena such as eutrophication, climate change, overfishing, and blue growth, it seems likely that blooms of jellyfish are becoming more common. Therefore, the more we understand this species and how they interact with the wider environment the more prepared we could be for future bloom events. 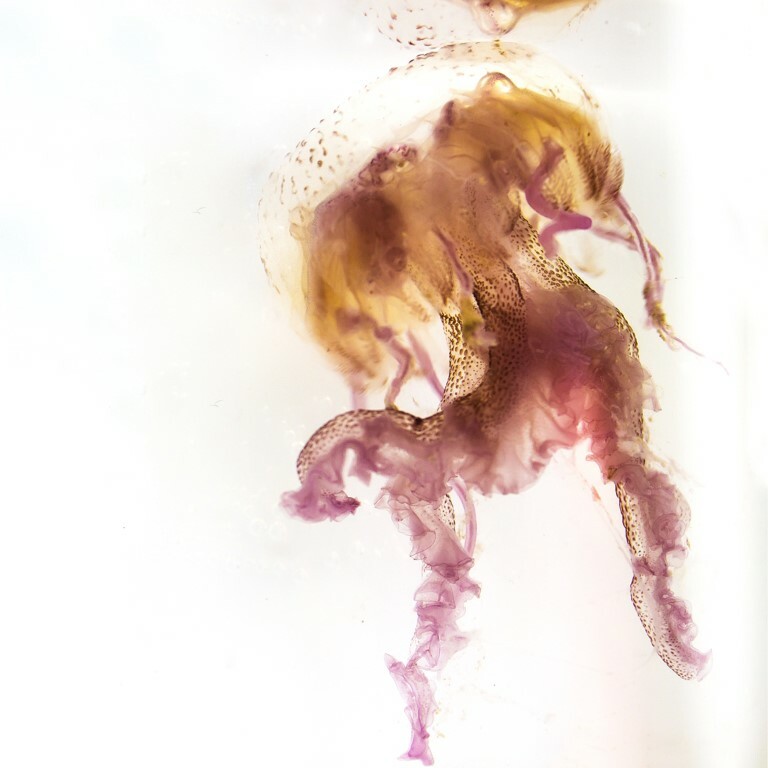 My research aims to reveal the role of jellyfish in the food web. By understanding which animals eat jellyfish, we can begin to identify interactions and key events which may ultimately help control jellyfish blooms. Witnessing feeding events in the ocean is very difficult without spending massive amounts of time in SCUBA equipment or a submarine. Even then, witnessing the predation of small animals or deep-sea biota may not yet be possible. Fortunately, scientists have been creative in finding novel techniques to study marine food webs. Gut contents analysis can reveal feeding events through identifying whole organisms, and hard parts such as bones and scales in the digestive tracts of a predator. Unfortunately, this doesn’t work well with jellyfish which are transparent, soft bodied, and digest very quickly. To solve this problem, I am using DNA-based approaches to study predation. Instead of using a microscope to identify gut contents, I extract and sequence the DNA of prey from predators’ stomachs. I then look to match the DNA sequence of prey items with DNA sequences of jellyfish on a database. If a match occurs, I can conclude that a jellyfish feeding event has occurred. The research cruise was an eye-opening experience for me - the longest I had ever spent on a ship before was a 3-day transit from Portsmouth to Bilbao. Now I was collecting ship-based data for 3 weeks without setting foot on land. Some adjustment was required; dissecting fish in the swell of the sea can be quite challenging… The smell of dissected fish while being tossed around by waves can be a bigger challenge still! Ultimately, my trip was a big success: I gathered many jellyfish samples, and preserved the stomachs of hundreds of fish for analysis back in the lab. 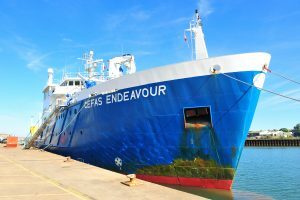 The real highlight however, was the opportunity to engage with the hard working scientists and crew onboard the RV Cefas Endeavour. Seeing the range of research being carried out was fascinating, and the skills I acquired will continue to serve me as my research interests move forward. It will take many more days in the laboratory to process all the stomachs and use the DNA-based techniques to work out what, if anything, is eating jellyfish. Moving forward, I would like to incorporate my data on jellyfish predation into an ecosystem model to quantify the impact of jellyfish on marine food webs. I am grateful to Cefas for the giving me the opportunity to collect data and develop a range of skills while on cruise. The second half of my PhD looks very promising, and I’m excited to explore the avenues down which my research will develop.